Trainer Khiana Block, Delane Sims, and assistant director Myeshia Jefferson pose for the camera. When she was a single mother, San Leandro, Calif.-based Delane Sims found that her flexible schedule as a nail tech helped her work while raising her children. 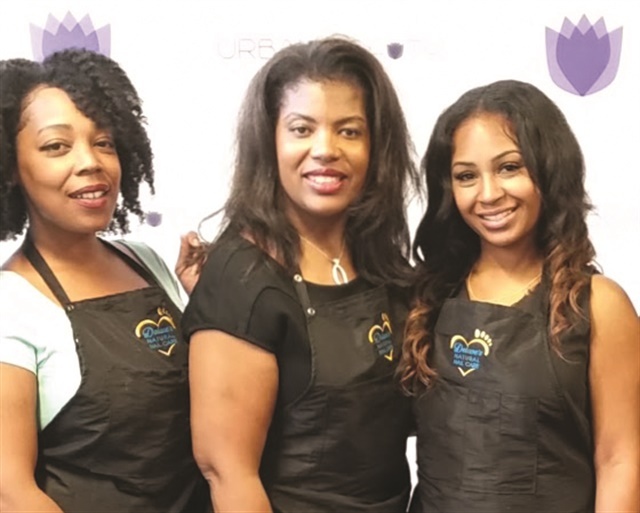 After becoming a salon owner, she wanted to help others succeed too, so in 1999 she began inviting struggling mothers to work at her salon and assisting them with their needs. “Once I realized I was already doing the work, I formalized my program, DNNC Steps to Success,” she explains. DNNC members participated in the Women’s March in Oakland. The program, named after Sims’ salon, Delane’s Natural Nail Care, was formalized in 2016. If program participants are not already licensed nail techs, the charity gives them a scholarship to attend nail school. Advanced education is crucial, too. Sims is a health and safety adviser for California’s Board of Barbering and Cosmetology and trains the techs to work safely, and a podiatrist provides medical training. Jim and Linda Nordstrom of Famous Names provide product training and were honored with an award at DNNC’s fundraising gala in 2018. 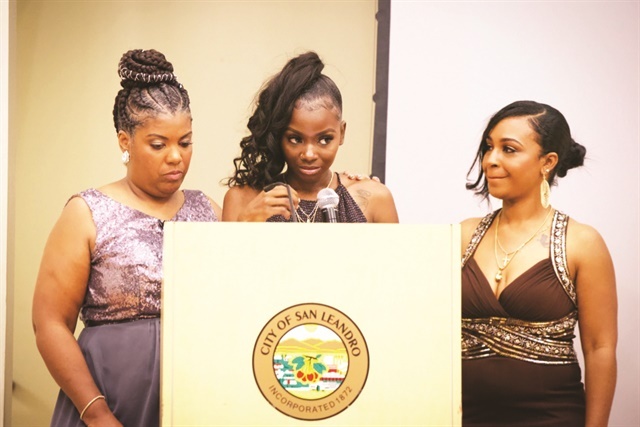 Women share their stories at DNNC’s annual gala. 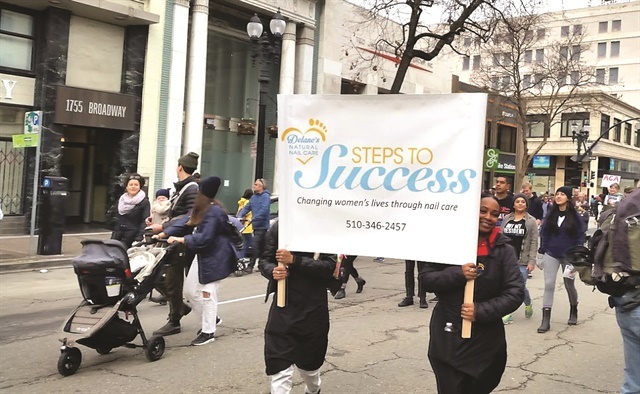 The program helps women in all aspects of their lives, partnering with various agencies throughout the county to provide support, including nutrition and parenting classes, health resources, etiquette workshops, and financial education. “We even partnered with a dealership to provide cars to some of our ladies who have issues with transportation,” Sims says. 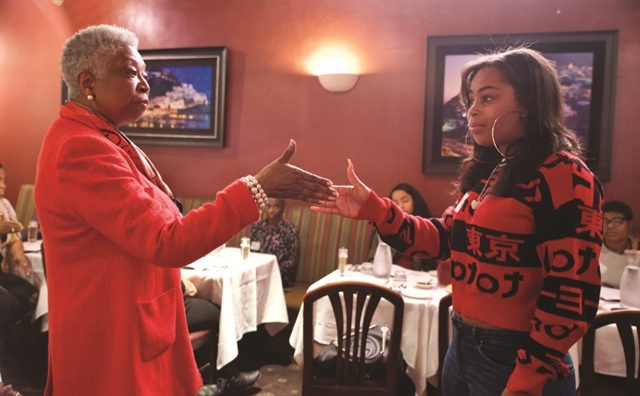 Program participants learn proper etiquette, including businesslike handshakes. Sims hopes to expand her program to other cities and states and encourages other nail salons to apply to become program ambassadors. She also asks for nominations for the organization’s Mom of the Year award, which will be given out next year. Find out more at www.dnncstepstosuccess.com.